Check up on and be notified of all your updates, plugins and licenses. No feature limitations, just the amount of sites you can add. 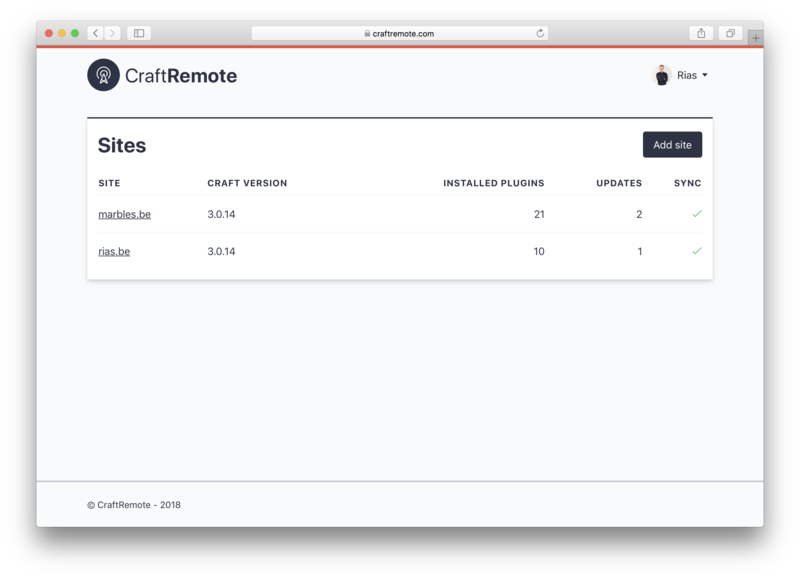 CraftRemote is a small enterprise not subject to VAT. All receipts without VAT.